Rottweiler attack on four-year-old girl results in $130,000 settlement. The incident happened at a party where the child was brought by her parents. another partygoer brought her Rottweiler. The Rottweiler was left unattended in the presence of the child. Read more. 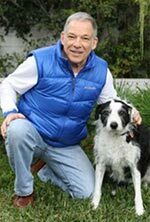 Pennsylvania Dog bite expert, Richard Polsky, PhD welcomes inquiries from Pennsylvania attorneys involved in dog bite litigation. Dr. Polsky provides expert witness services nationwide and he has successfully served Pennsylvania, New Jersey and New York attorneys.